Computerizing education and automating problem-solving can be a double-edged sword, as it can lead slacker students to lean too much on technology instead of using their noggin. Even still, in certain circumstances, especially stuff related to doing calculations, solving equations, and solving for unknowns in functions, a good technological tool can be super-helpful. 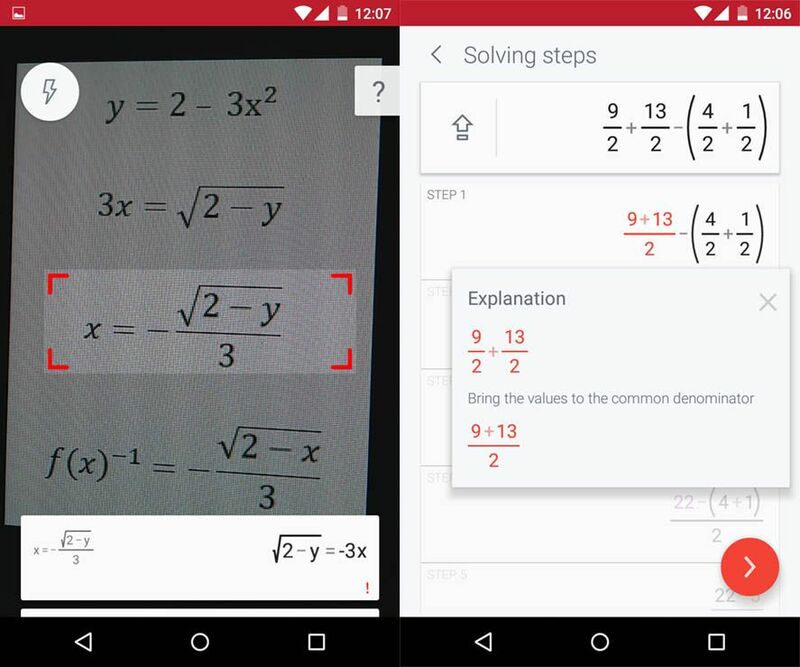 PhotoMath is one of the best in its field, letting you solve problems (and see the steps to do so) based on a photo taken with your device. The app supports different kinds of calculations: arithmetic expressions, calculation of fractions and decimal numbers, powers and roots, simple and quadratic linear equations, inequalities, equation systems, and absolute-value inequalities. Just focus your camera on the expression to be resolved and you’ll get a breakdown and result in real time. In fact, in most cases you’ll see how the result was achieved with the different actions taken in each step. Obviously it can’t be used as a guide to solve operations in all cases, though, as certain developments can branch out into different methods of resolution.